Gary Vaynerchuk took his family liquor business and turned it into a multi million dollar ecommerce store. He has since become a world famous celebirty and New York Times best selling author with his book Crush It. 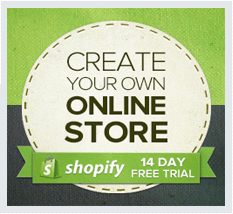 In this interview with Shopify he discusses building and ecommerce store, using social media and optimizing your business. Meet Gary Vaynerchuk (VAY*NER*CHUK), a 33-year-old self-trained wine and social media expert who has revolutionized the wine industry. Gary’s cult-like following is the result of his unconventional, often irreverent commentary on wine, combined with his business acumen and foresight to use social media tools like Twitter, Facebook, and YouTube to reach an untapped audience. He hosts a daily webcast called “The Thunder Show”on tv.winelibrary.com that attracts over 90,000 viewers each day. Recently, Gary’s podcast became the most downloaded show on iTunes in the Food category, beating out venerable names in the industry including Martha Stewart and Jamie Oliver.